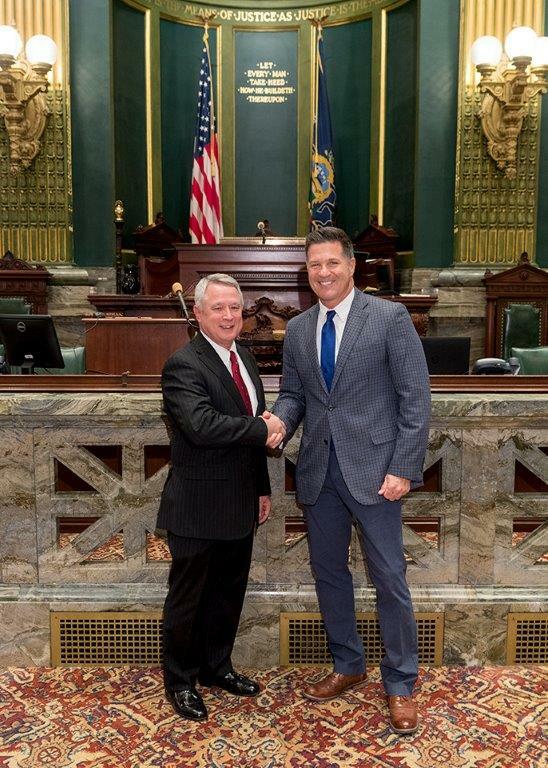 March 20, 2017 - Sen. Regan was honored to introduce Rev. 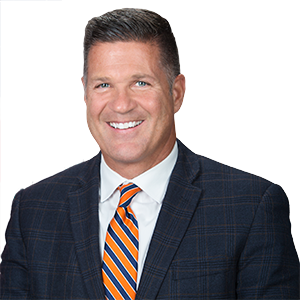 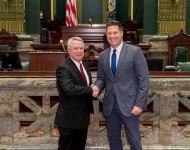 Tom Willard, Senior Pastor of Camp Hill United Methodist Church, as a guest chaplain on the Senate floor to offer a prayer before the Senate convened. 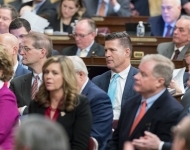 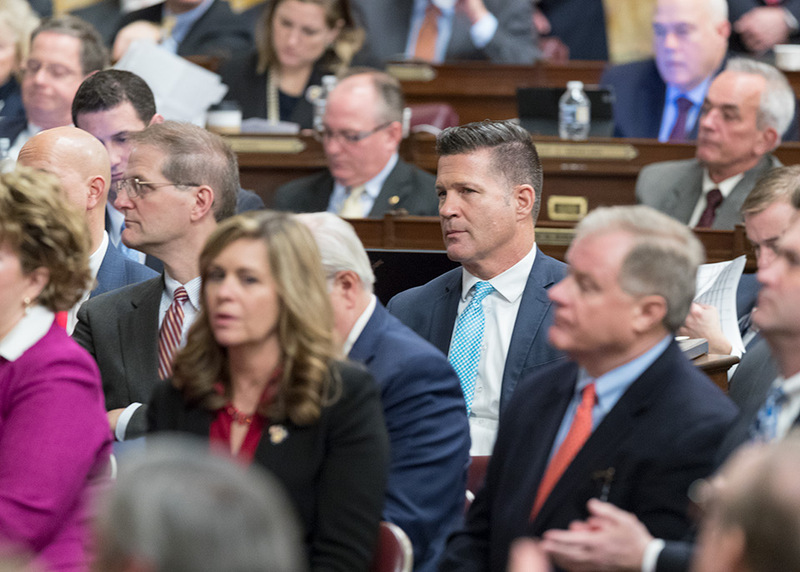 February 7, 2017 - On the House floor during a joint session of the General Assembly, Sen. Regan listens to the Governor’s third budget address. 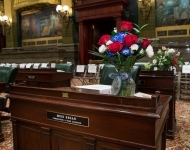 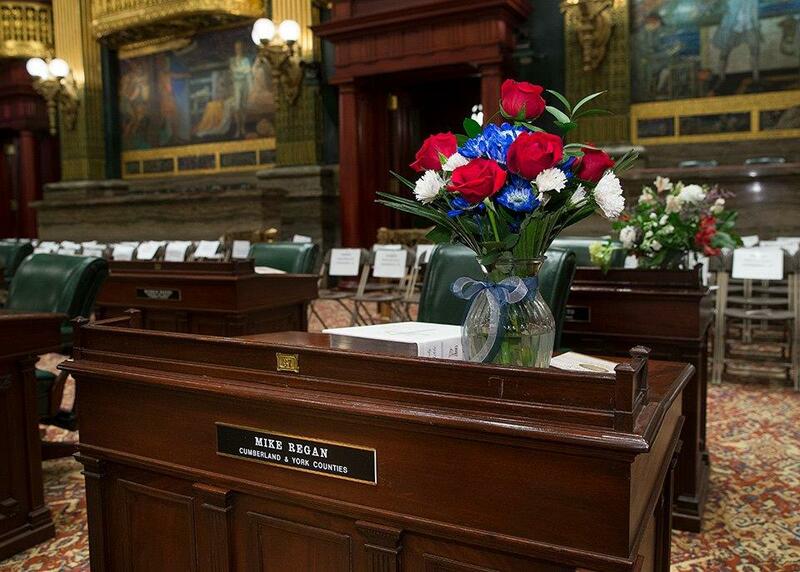 January 3, 2017 - Sen. Regan's desk on the Senate floor awaits as he prepares to take the oath of office. 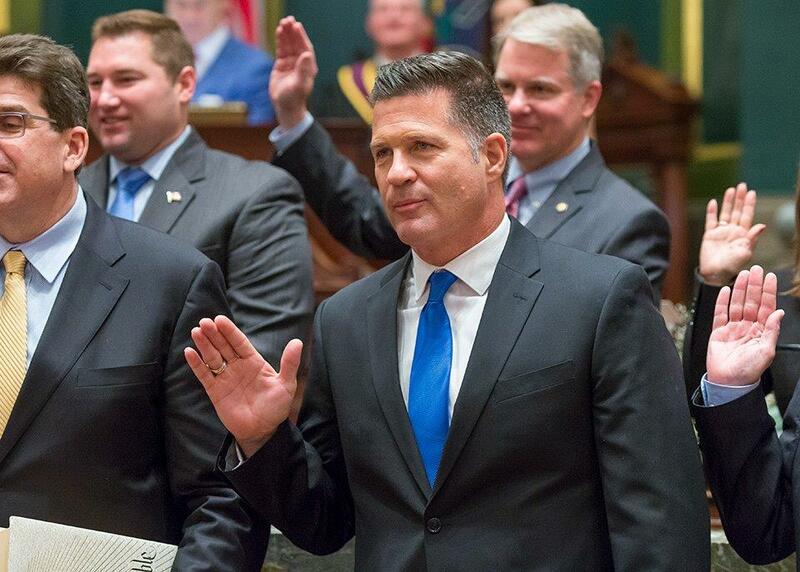 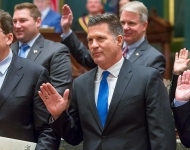 January 3, 2017 - Sen. Regan raises his right hand and pledges to serve his constituents with honor. 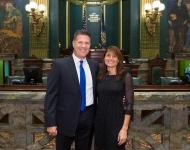 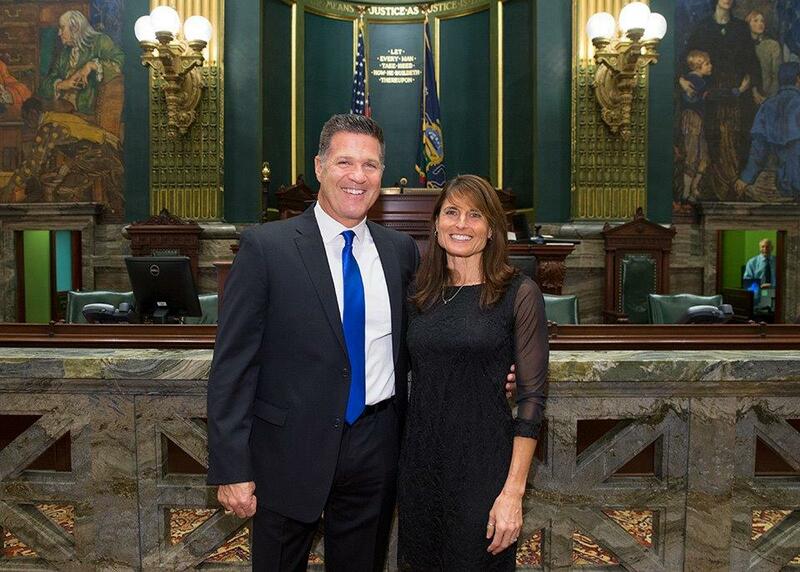 January 3, 2017 - Sen. Mike Regan was joined by his wife Fran on swearing-in day, on the floor of the Senate Chamber. 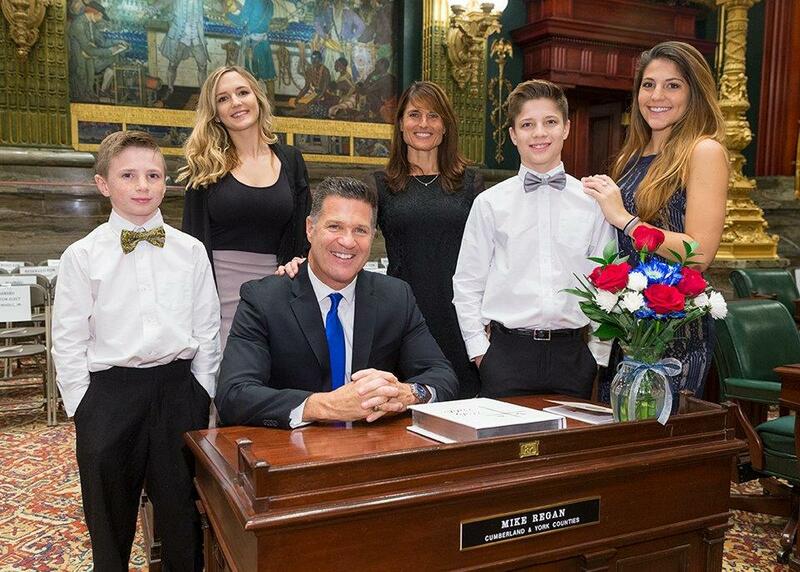 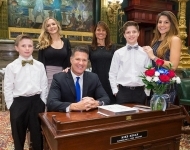 January 3, 2017 - Sen. Regan's four children and his wife Fran join him at his desk on the Senate floor on Swearing-in Day.